Eleonore Oppenheim is a genre surfing musical polyglot. 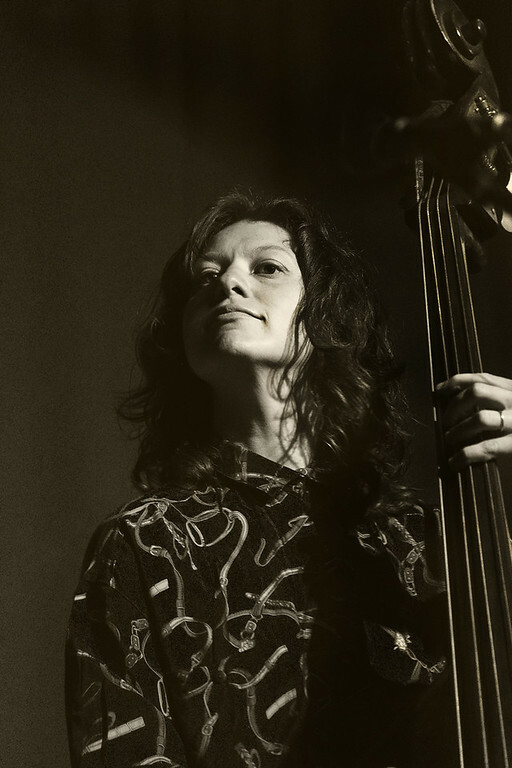 Her current projects include big dog little dog (a duo with composer/violinist Jessie Montgomery), an acoustic trio with art-pop auteur Glasser and multi-instrumentalist Robbie Lee, and the avant folk-jazz supergroup the Hands Free (with James Moore, Caroline Shaw, and Nathan Koci), among others. Eleonore has an exciting repertoire of commissioned solo pieces and has also worked with established composers including Philip Glass, Steve Reich, and Meredith Monk, in composer-led ensembles like Missy Mazzoli’s “all-star, all female” bandsemble Victoire and Florent Ghys’ low strings and drums powerhouse Bonjour, and with many other artists from the indie rock, jazz, and folk worlds. She writes and arranges for all of the aforementioned groups, and has established herself as a go-to chamber musician, recording artist, and large ensemble player. A passionate music educator, Eleonore is also a current member of the Fulbright Specialist Roster, and is specifically interested in multi-disciplinary collaboration addressing climate change. If you have a proposal for a project, you may contact her here. She is an alumna of the Juilliard School, the Yale School of Music, and Stony Brook University.